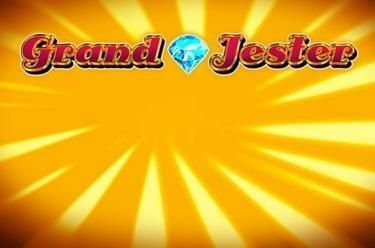 Play Grand Jester online for free now! Aside from a whole fruit salad of lucky symbols, a whopping 15 jokers are dancing across the reels in Grand Jester. They’re a nervous lot, though – not easily gathered in one spot, you see? Organize a family get-together and see to it that they all appear on the reels. A ridiculously high jackpot will be your reward! 5 identical symbols along one of the 10 win lines which run from left to right are your aim in Grand Jester. To win, the symbols of a winning combination need to fall onto the winning pattern next to each other and without interruption. In its role as the wild symbol, the joker substitutes for all other symbols except the diamond. The diamond acts as scatter: When 3 of them fall onto the reels on any position, 12 free games are triggered. 3 or more diamond symbols on any reel position trigger 12 free games at trigger settings. During the free games, the joker symbols expand to cover their reels, stay fixed and substitute for all other symbols except for the diamond. 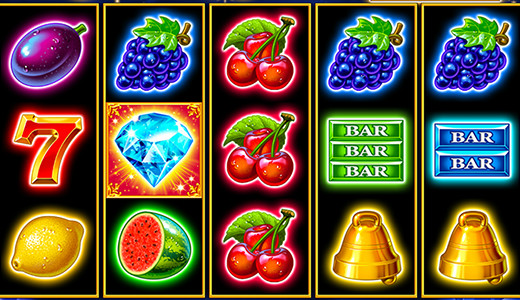 3 to 5 more scatter symbols on the reels will net you an additional 12 free games. If a total of 15 joker symbols appear on the reels after a spin (each reel shows one big joker), then you win the progressive jackpot. If you were playing with max bet, then you win 100% of the jackpot. Lower amounts win a corresponding amount.